Tool holder in heavy-duty split leather for scaffolders, carpenters and fitters with a special holder for Burton-key. 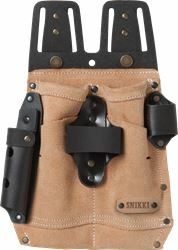 Combine with Fristads ergo belts and other tool pockets to obtain the ultimate tool belt for your profession. Made in Sweden. 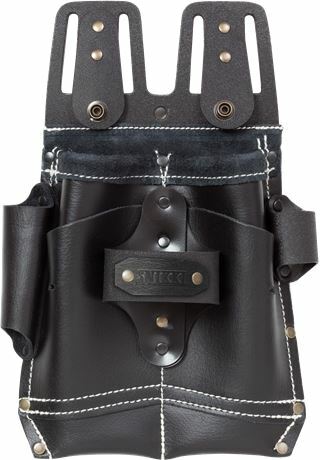 For scaffolders, carpenters, fitters etc / 4 tool pockets / Big pockets H 200 x W 65 x D 30 mm / Hammer and sheath knife holders / Extra tool holder / Quick-grip / Made in Sweden.